Our chairs are designed using quality leather and other material, which enables these to last longer. We provide highly efficient and durable chairs to our client’s at the most affordable rates. In addition, these chairs are available in various sizes and designs to meet the exact requirements of our patrons. 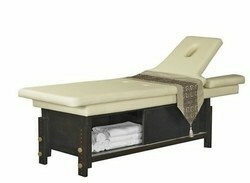 We are offering Stylish Spa Bed to our clients. Wooden Spa Bed with cousin sheet and cover with back edjestable arrangement. Leveraging the skills of our qualified team of professionals, we are instrumental in offering a wide range of Spa Facial Bed . 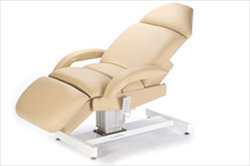 Salon Spa / Massage Bed.